As someone who has suffered with acne, I know first-hand how tempting it is to go out and purchase the first full coverage foundation you see. However, I stress that you really consider what you're putting on your face. Ingredients such as sodium chloride and bismuth oxychloride, which are known irritants for acne-prone skin, are commonly found in some of the holy grail foundations on the market. Now, it might seem like torture to steer away from the beauty pack, but your skin will thank you later. Trust me! 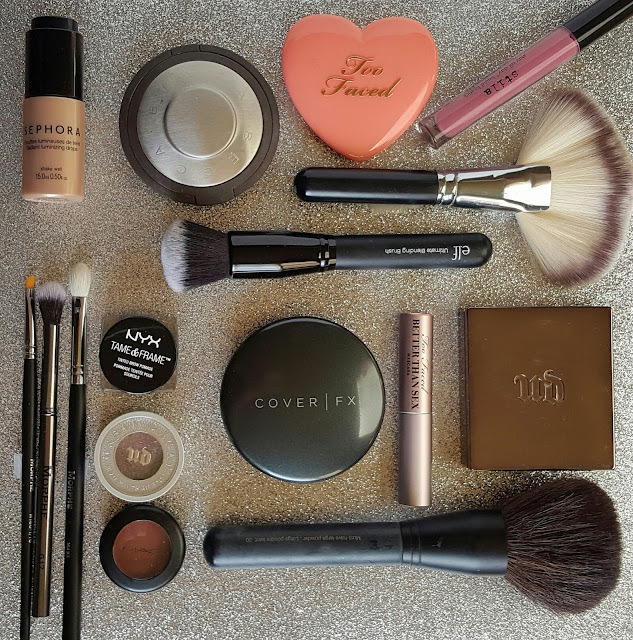 The two foundations that I will be comparing today on the blog, the Dermablend Smooth Liquid Camo and the Cover FX Total Cover Cream, are ones that I came across while on the hunt for the perfect full coverage foundation. Unfortunately, the Isopropyl Palmitate in the Dermablend foundation caused me huge cysts along my jawline, so I thought I would try the Cover FX Total Cover Cream as a substitute. To view the ingredients of the Cover FX Total Cover Cream, click HERE. Now you might be thinking to yourself, "those two foundations don't seem to have a whole lot in common". Well, I'd have to argue with you on that one. Despite Dermablend's claims of the Smooth Liquid Camo having medium coverage, this foundation is super heavy duty; it could even cover tattoos if you have any. 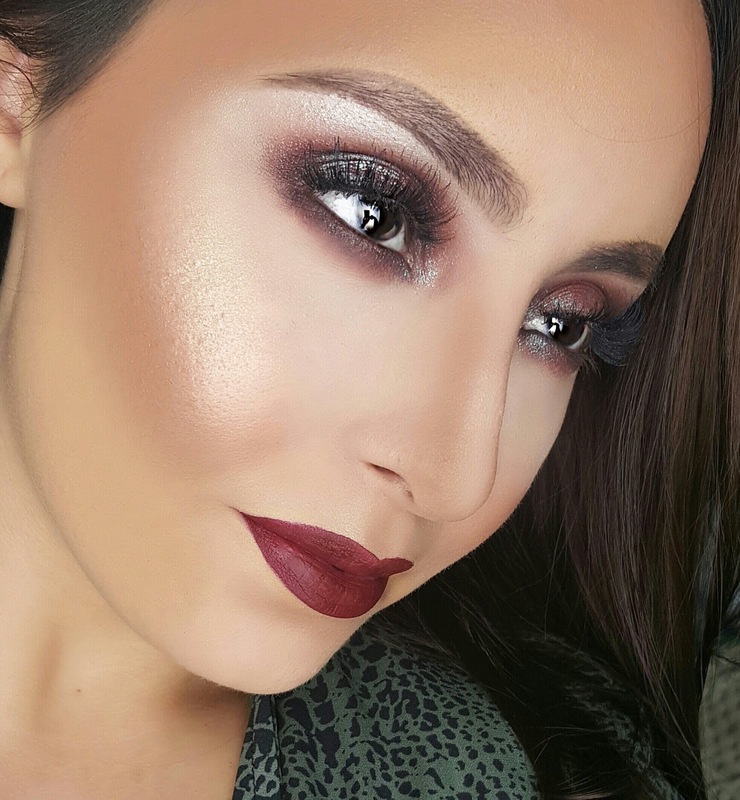 On top of that, the thick texture of the foundation combined with its full coverage properties, lends itself more to the cream foundation category. So these foundations might have more in common than you think! The Cover FX Total Cover Cream Foundation is a cream foundation in compact form. In the compact you are also supplied with a mirror and a sponge, making it travel-friendly for on-the-go makeup applications. It comes with 10 grams of product and retails for $42 at Sephora. According to the Cover FX website, "This anti-oxidant infused total coverage foundation and concealer in one imparts an all-day radiant finish that nourishes with anti-aging benefits. The buildable formula can provide medium to total coverage and offers all-day wear. Provides optimum coverage of skin imperfections such as acne, redness, melasma, under eye circles, uneven skin tones, post-surgical bruising, vitiligo, and tattoos and protection from wind, sun and pollution. This clinically tested product does not contain the Inflammatory Five: gluten, mineral oil, fragrance, parabens or talc." The first time I applied this product I made the mistake of using a dampened beauty blender. When I applied it in this way, I was not at all a fan of it because, while the name boasts "total cover", it applied entirely too sheer. But after seeing other beauty bloggers apply this foundation with a flat top Kabuki brush, I decided to give it another go and I have to say I prefer this much more with a brush than a sponge. What I like to do is give my brush a good two or three sprays with a setting spray or water and then dab it into the product. The foundation is solid at room temperature, so the added moisture gives it that little bit of "slip" that makes it much easier to apply. I have to note, nevertheless, that this is not the most hygienic product for those suffering with acne since you are going back and forth between the pan and your face. However, this is easily remedied if you scoop some of the product out using a makeup spatula, placing it on the back of your clean hand or sterilized mixing palette, and then applying it from there. On initial application of the first layer, I noticed that this foundation did have a solid medium coverage. However, having some acne scarring, I wanted to see if I could build it up to full coverage. After applying the first layer, I went back into the foundation and only applied it over my old acne scars, not all over my face, since these are the only places that I needed additional coverage. 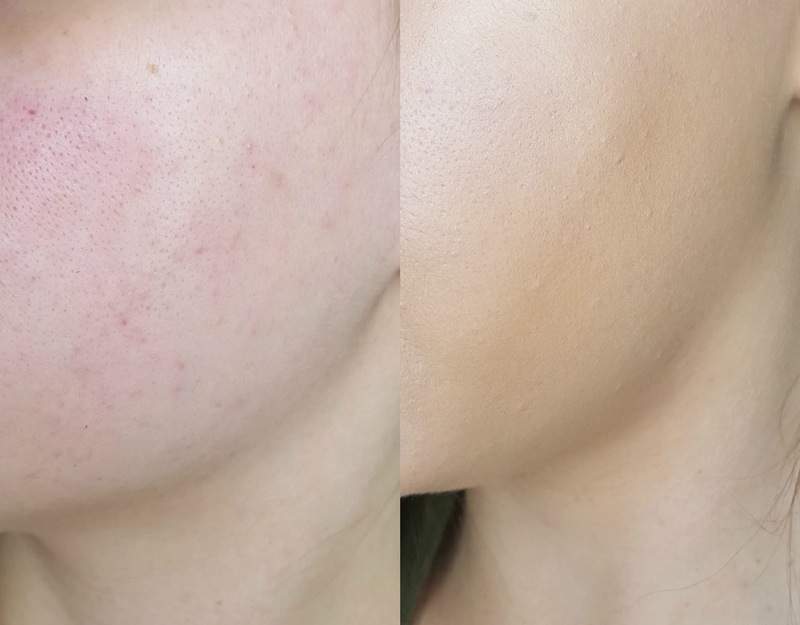 This foundation most certainly has buildable coverage, however, if you have bright red or purple bumps on your face, I would still recommend color correcting before applying this or any foundation. For the sake of my wear test, I also wore this foundation with my concealer, bronzer, and blush. I wanted to see how well everything would hold up on top of it--if any fading or patchiness would occur. Once I finished applying the rest of my makeup, I noticed that the foundation had set itself to a powder finish, but not one of those chalky, drying finishes. It looked incredibly natural, despite being full coverage, and felt like nothing on the skin. Four hours into the wear test, I noticed a bit of my natural oils coming through (probably due to me sitting so close to the heater), but it wasn't anything major. In fact, I found it was very flattering and gave my skin a healthy sort of glow. Other than that, there weren't any other significant changes to the rest of my makeup. 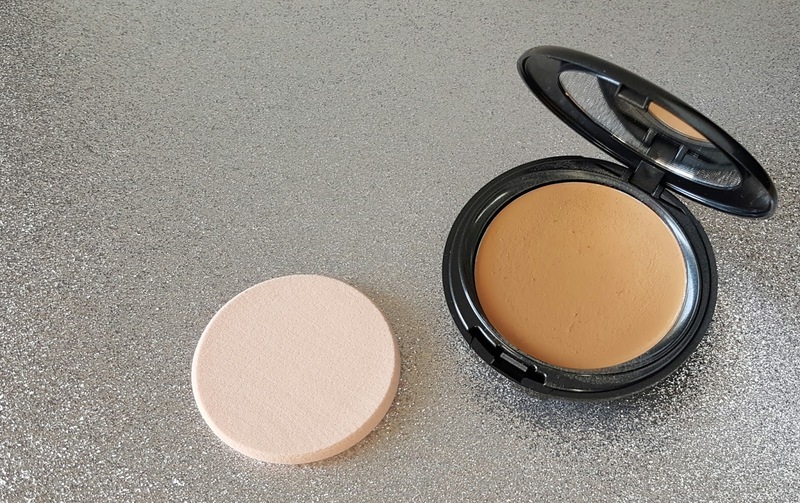 By hour seven or eight, however, I did find that the foundation seemed to fade away and if I blotted my face, there was visible transfer, so this is definitely a product you would want to set with a powder if you plan on wearing it for a full day of work. Unlike Dermablend's hygienic squeeze-tube packaging, the Cover FX Total Cover Cream comes in a compact that you might potentially have to double-dip into. This is easily remedied by scooping some product out prior to application as I mentioned earlier. While the Total Cover Cream comes with a mirror and sponge, making it travel-friendly, it's a bit bulky and just not my favorite packaging. Also worth noting, you only receive 0.35 oz. of product for $42 compared to 1 fl. oz. for $35, so the Cover Fx Total Cover Cream isn't as much value for your buck. 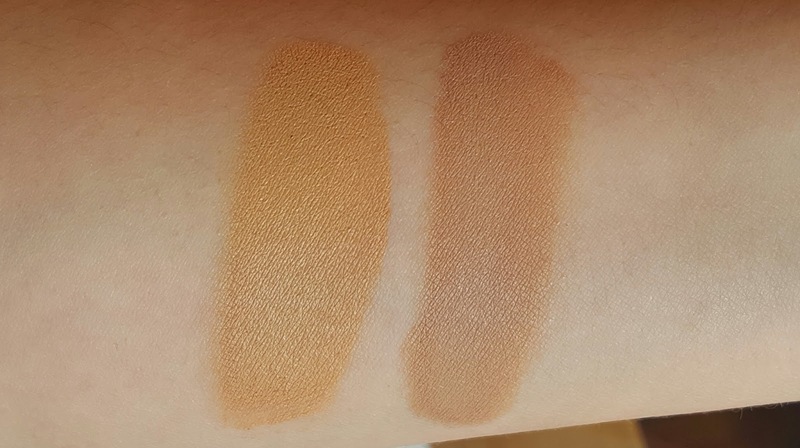 That being said, the Cover FX foundation is tons better for your skin, contains a SPF of 35 (compared to Dermablend's SPF of 25), and has a much better color selection. I always felt like the Dermablend foundation read a little too peachy for me, so since Cover FX has a brilliant color undertone system -- P for Pink, N for Neutral, & G for Golden -- it is much easier to find a color match. What I also like is that the Total Cover Cream doesn't feel as heavy on the skin as the Dermablend foundation. The coverage is just as heavy duty, but the finish is somehow still natural. Once I switched up my application method of this product, I instantly saw what all of the hype was about. Somehow the Cover FX Total Cover Cream Foundation manages to make you look flawless, yet still maintains a beautiful skin-like finish. I even got some compliments from guys! While the packaging isn't my favorite, I can certainly look past that for such an amazing product. To extend the longevity, you can pair this foundation with a primer, powder, and finishing spray of your choosing. I give it two thumbs up for changing my mind about cream foundations! ♥ Lashes- House of Lashes "Smokey Muse"
OMG...coverage is full on and looks flawless. First of all, your makeup is stunning! I have read a lot of great reviews on GoverFX but personally I never tried and don't thnk I'll ever try it. I'm lucky that my skin usually behaves so I much prefer light coverage foundation. ps: You should do a tutorial on your eye makeup here, it's gorgeous!